Search for condos for sale in Little Silver. 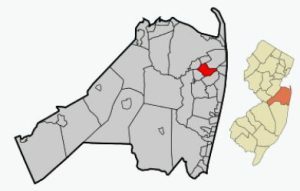 Little Silver is located in Monmouth County on the Shrewsbury River. Nearby you will find transportation, dining, shopping, Red Bank and of course, the Jersey Shore. FHA financing is not available fr these homes at this time. However, low down payment mortgages are available from other sources for qualified home buyers. Little Silver is on the banks of the Shrewsbury River. Furthermore, there is a public boat ramp at the Dominick F. Santelle Park off Riverview Avenue. Shopping and dining are readily available, while entertainment, theater and music productions in Red Bank are minutes away. The population of Little Silver at the time of the 2010 Census was 5,950. Commuters will love living in Little Silver because of it’s location.New Jersey Transit has a station in Little Silver. Since most of the Little Silver Condos For Sale are within an easy walk to the train station, this makes for an ideal location for commuters. Little Silver has two schools. The schools are Point Road School (Grades Kindergarten through third) and Markham Place School (Grades four through eight). When students enter high school they will attend the Red Bank Regional High School. And when students enter high school they may also apply to one of the five high schools in the Monmouth County Vocational School District. Specialized courses are available in fields such as computer science, and biotechnology. Also courses in the medical and science fields are available, among others. In addition, private schools children can attend are St James and Red Bank Catholic High School and Christian Brothers Academy.